Sonia Purnell is a biographer and journalist who has worked at The Telegraph and Sunday Times, and the author of A Woman of No Importance: The Untold Story of the American Spy Who Helped Win World War II. Her first book, Just Boris, a candid portrait of London mayor and Brexit champion Boris Johnson, was longlisted for the Orwell prize. 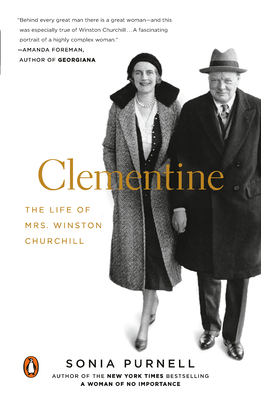 Clementine (published as First Lady in the UK) was chosen as a Book of the Year by The Telegraph and Independent and shortlisted for the Plutarch Award for biography.